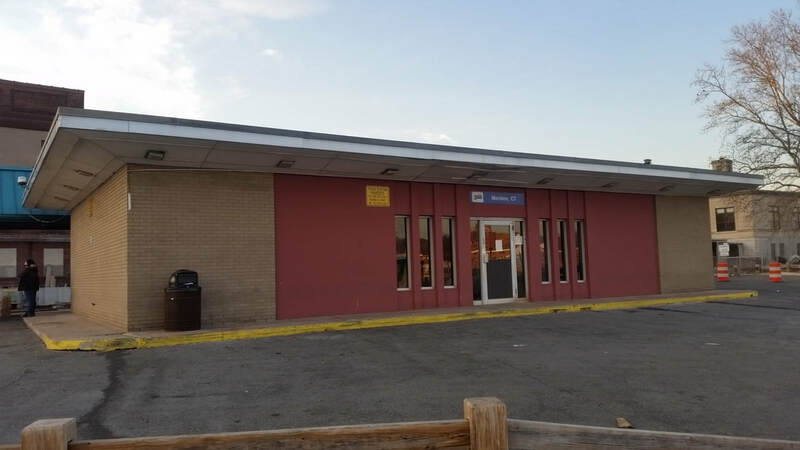 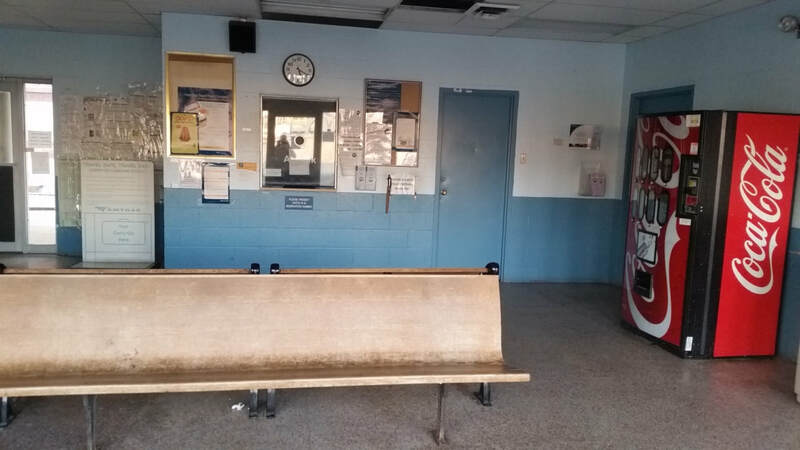 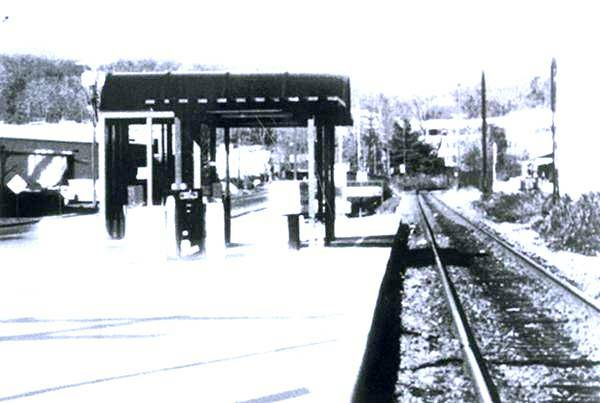 With the inauguration of Shore Line East service in May, 1990, this shelter and ones like it were put up along the route. 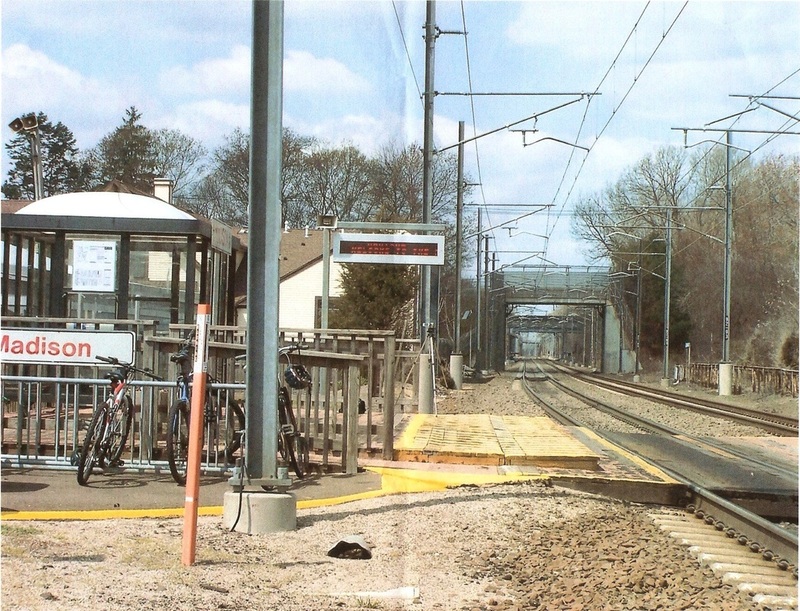 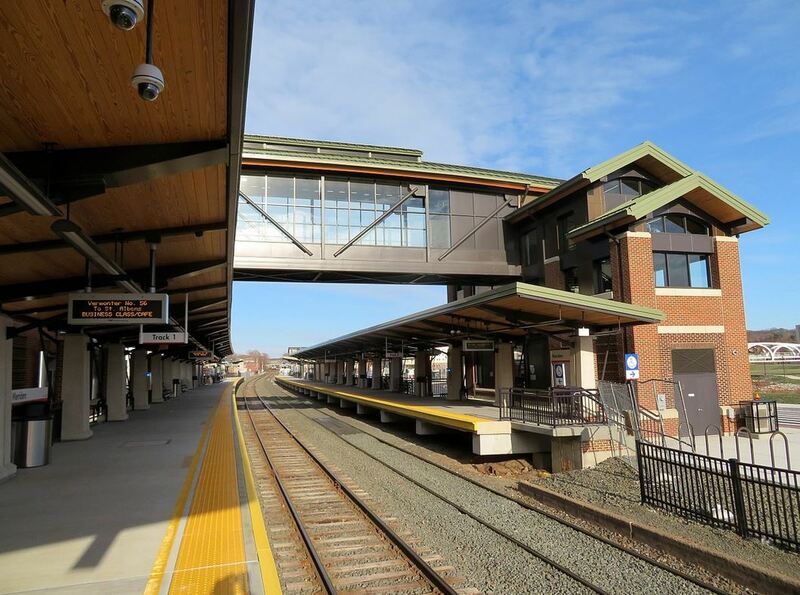 This one stood until July, 2008 when MADISON5 was built. 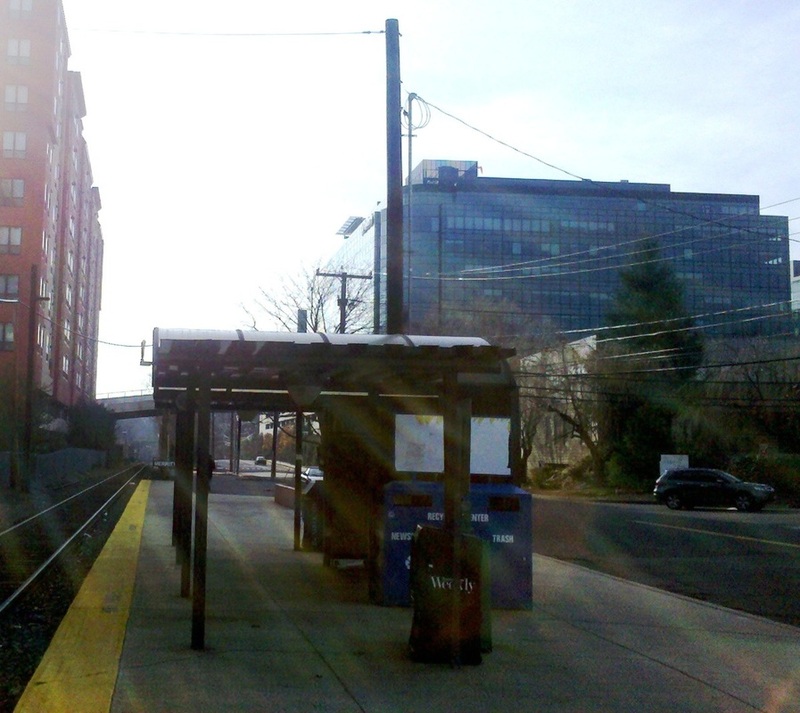 Shore Line East station, as seen on 8/2/2010. 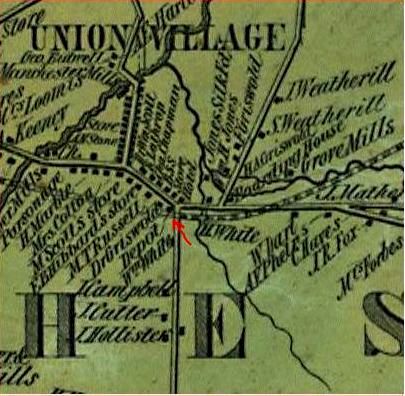 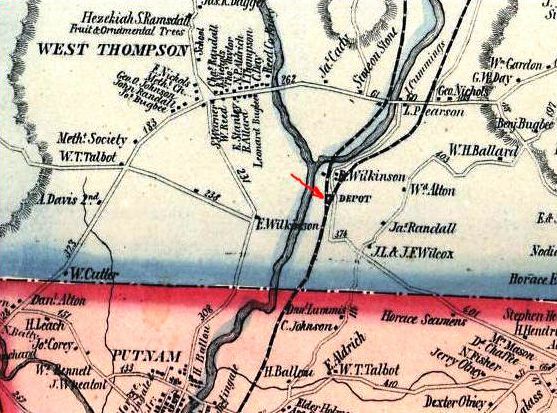 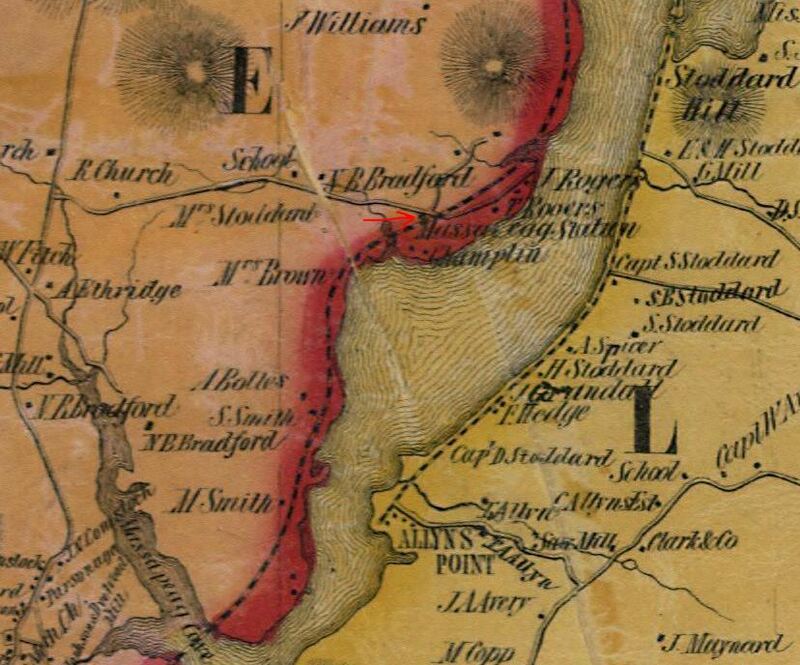 The first name for this stop when the HP&F opened in 1849 was UNION VILLAGE, as is seen on this 1855HC map at left but an 1851TT, however, already lists it as MANCHESTER. 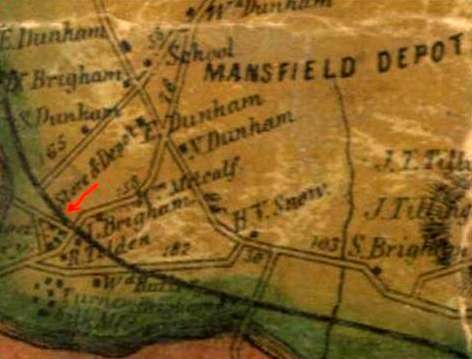 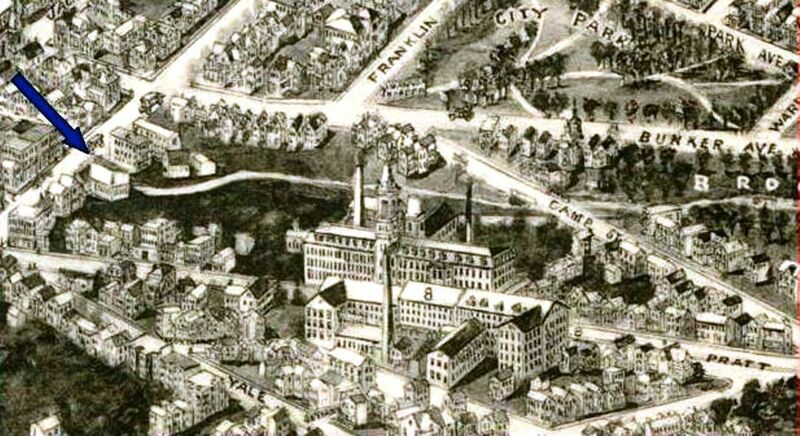 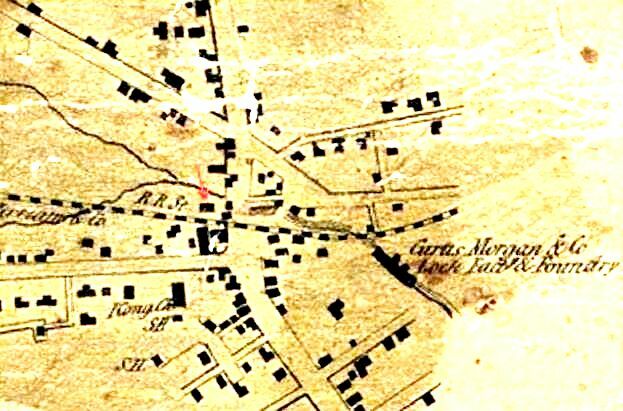 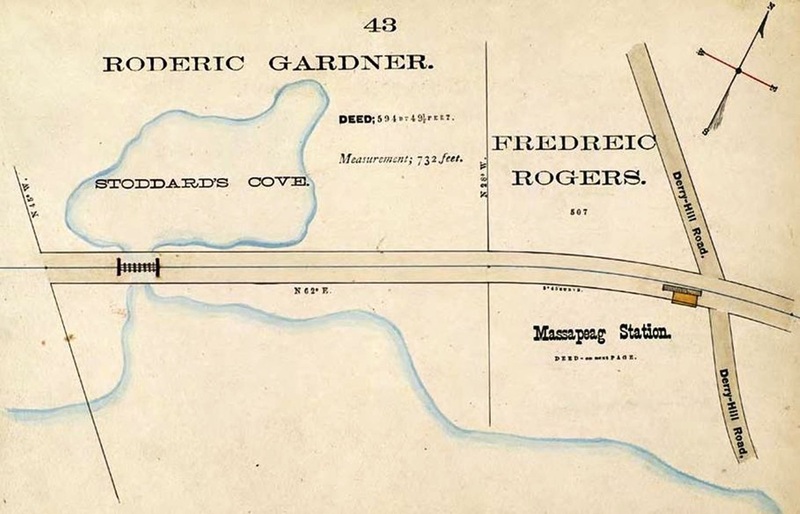 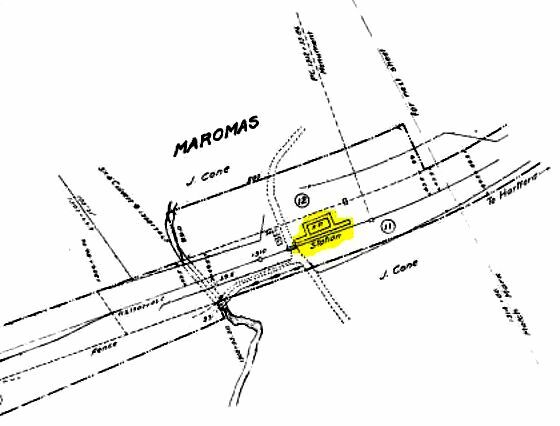 The station structure is seen on the Bailey 1880 bird's-eye map at middle. 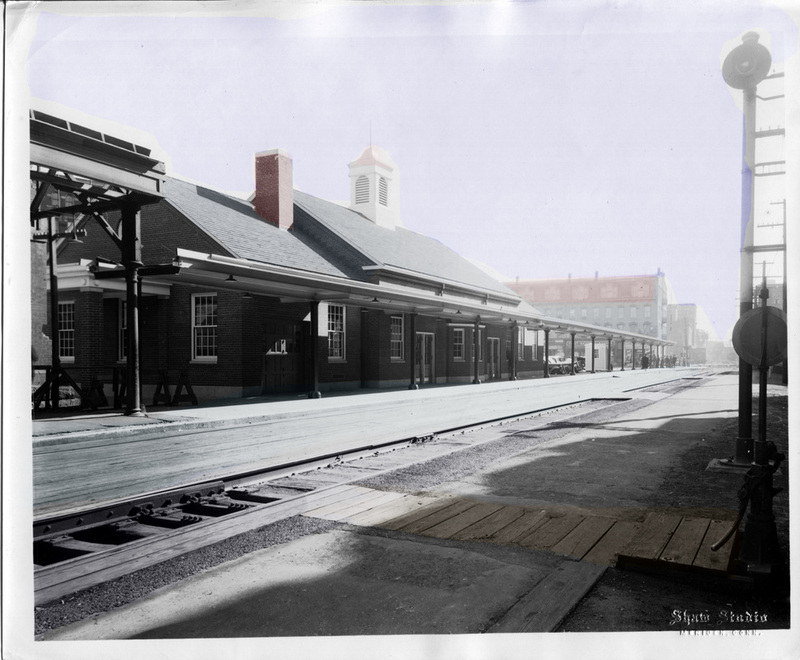 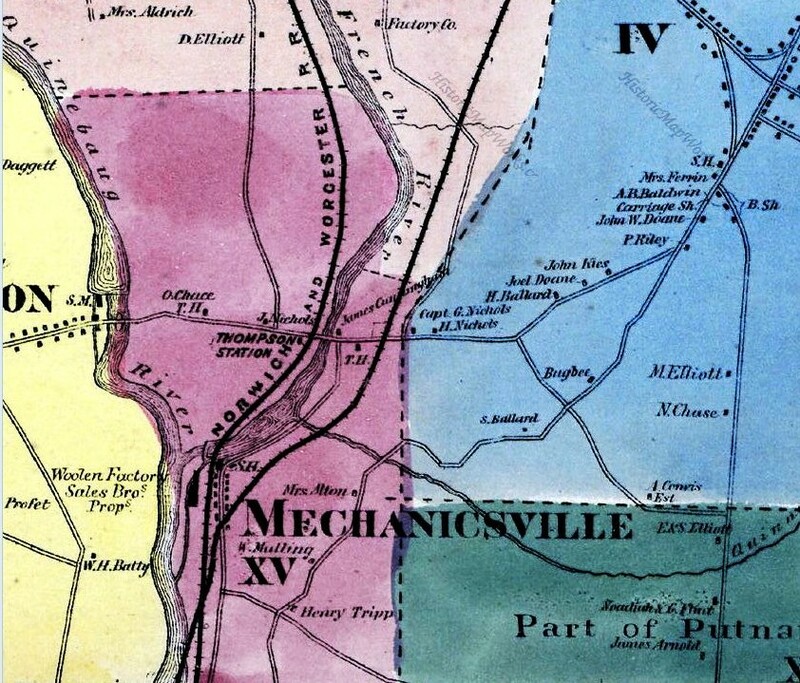 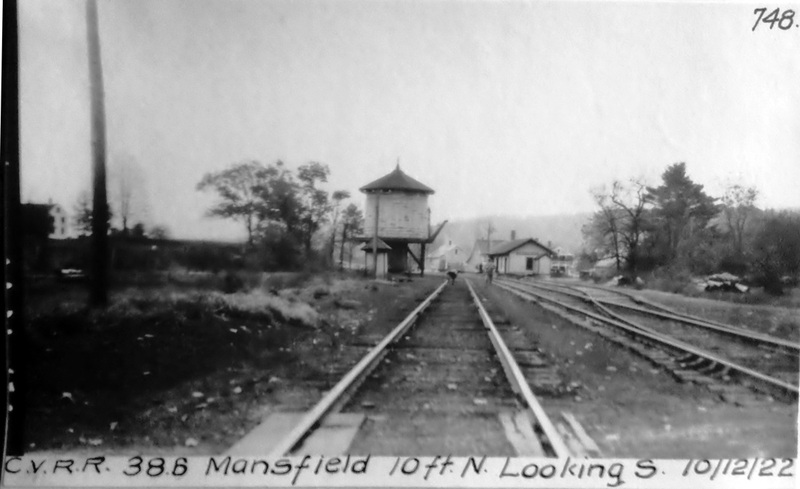 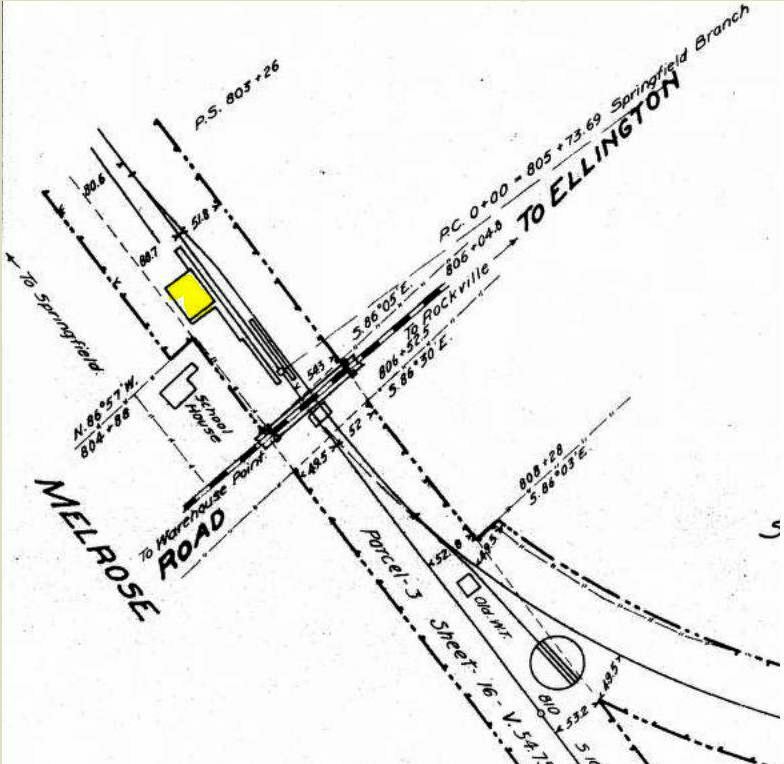 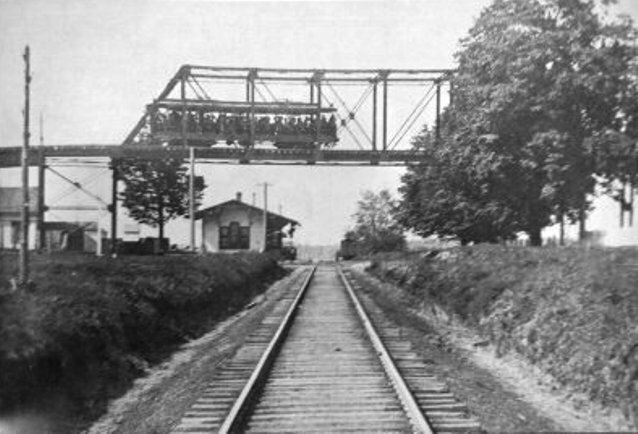 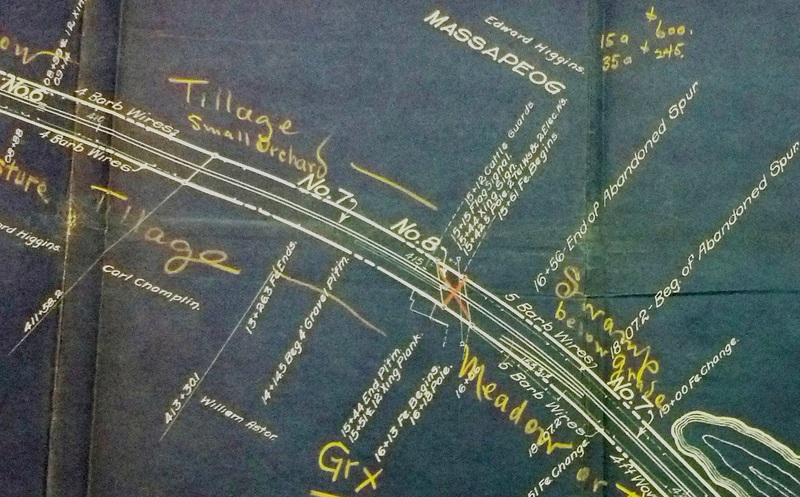 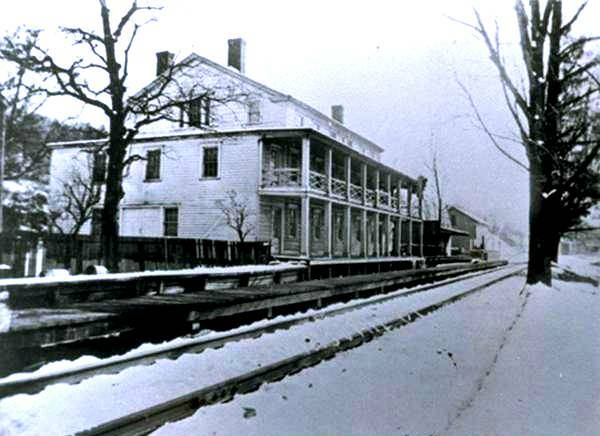 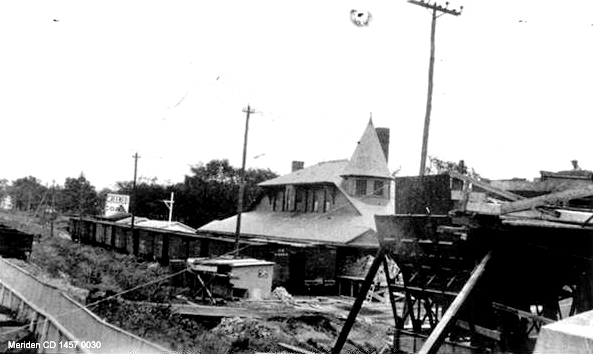 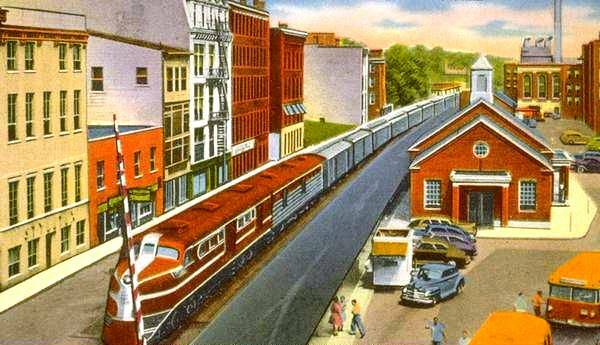 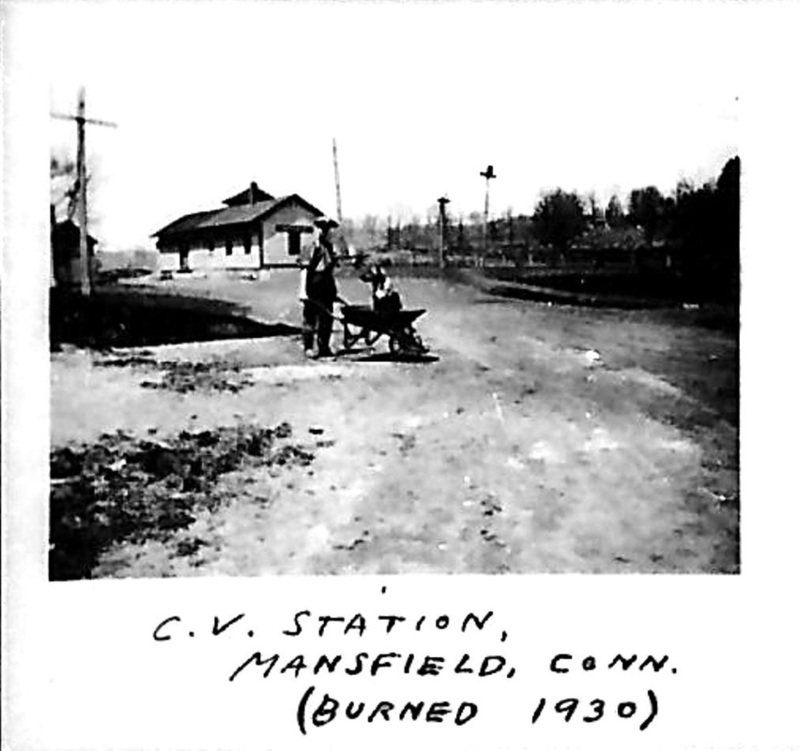 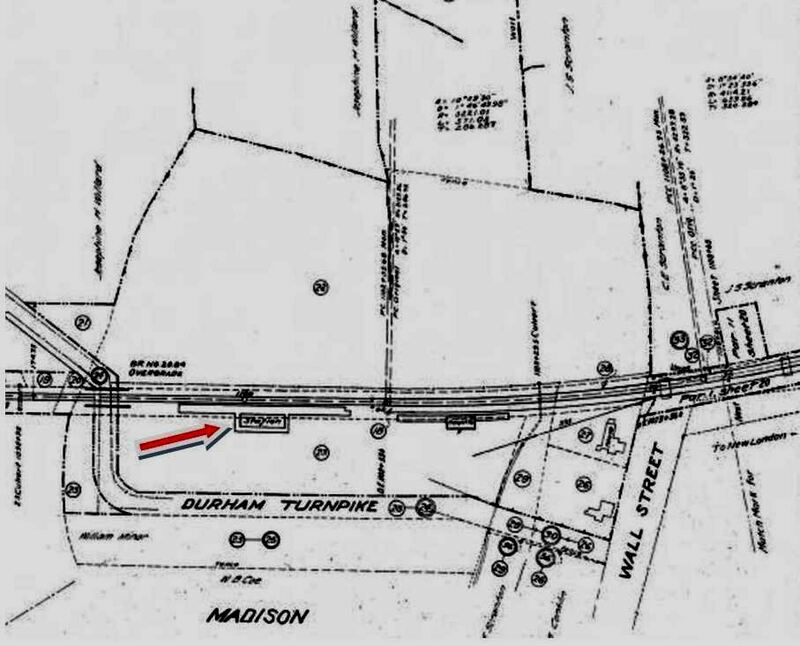 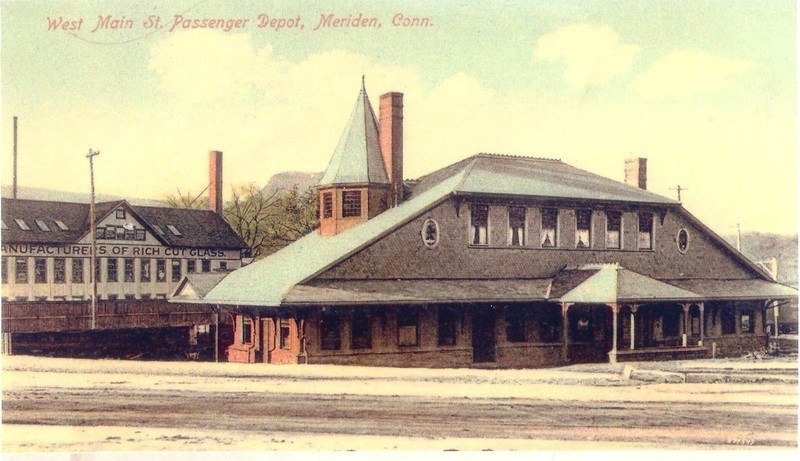 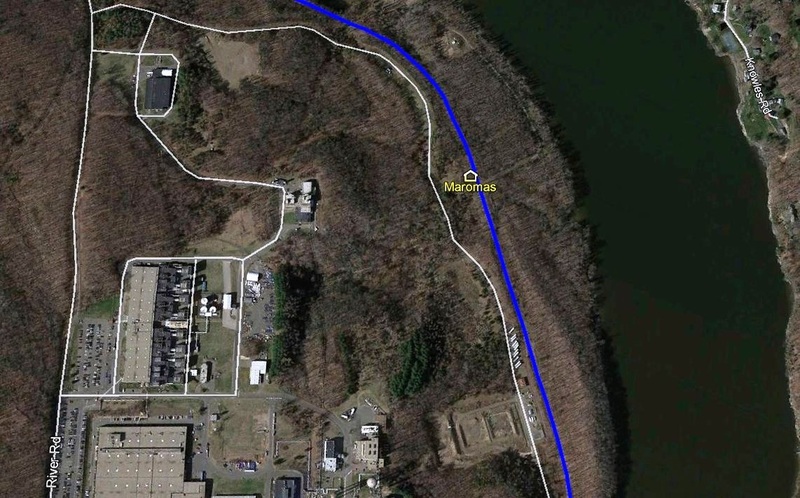 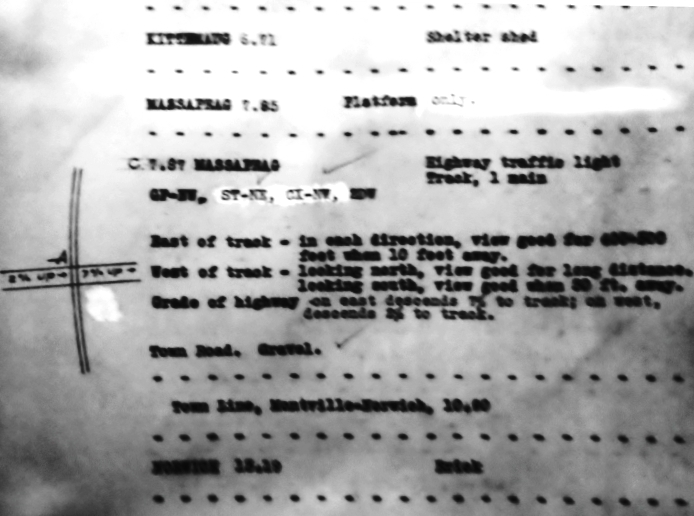 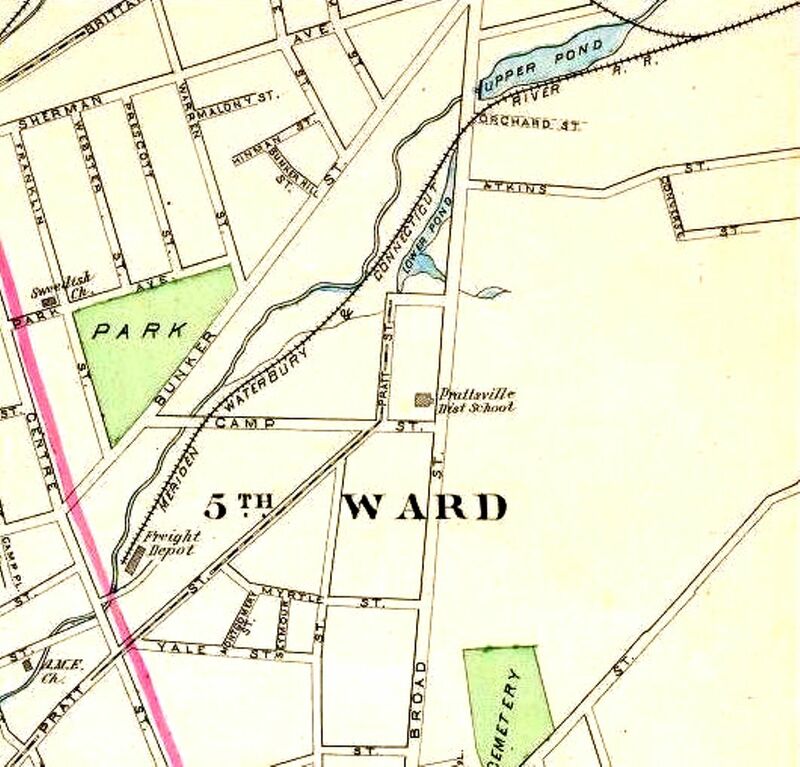 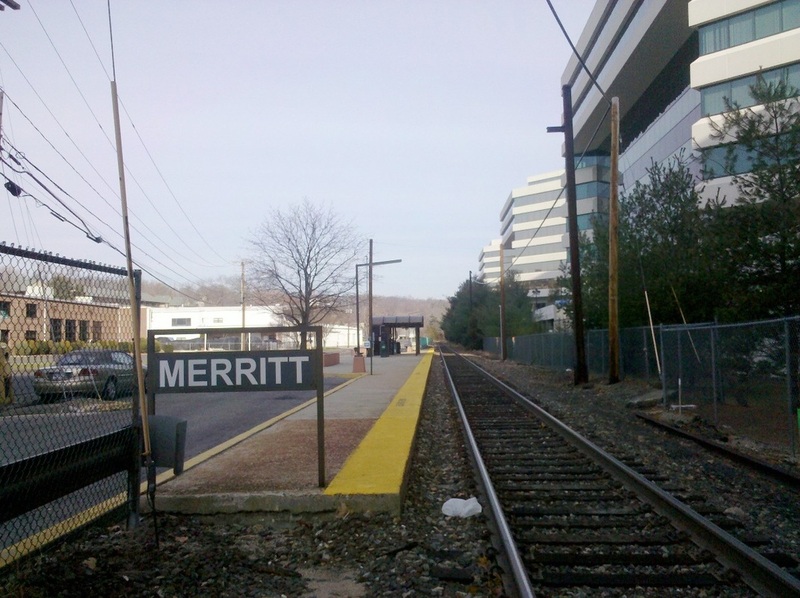 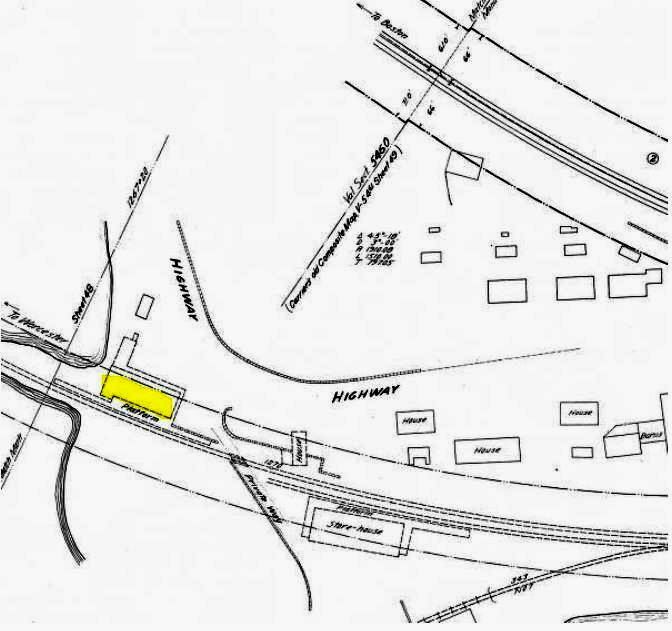 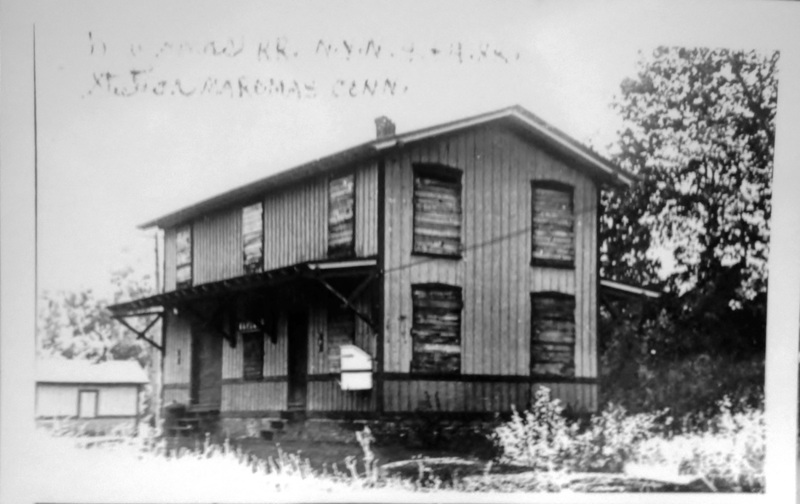 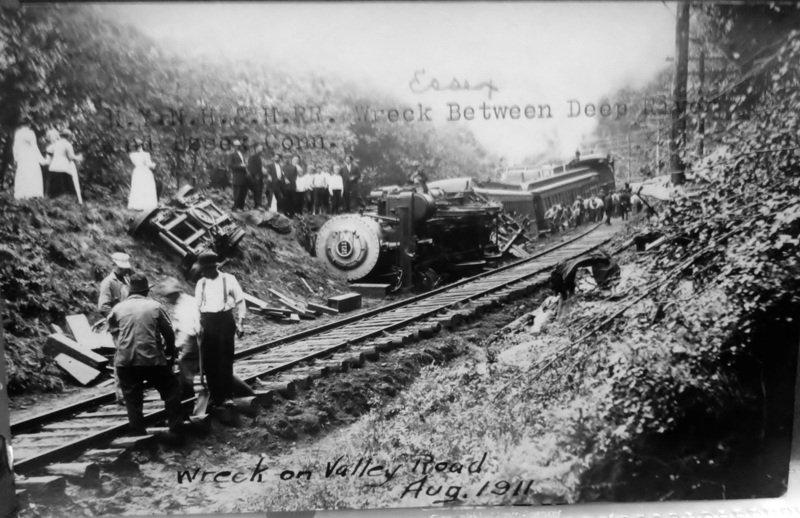 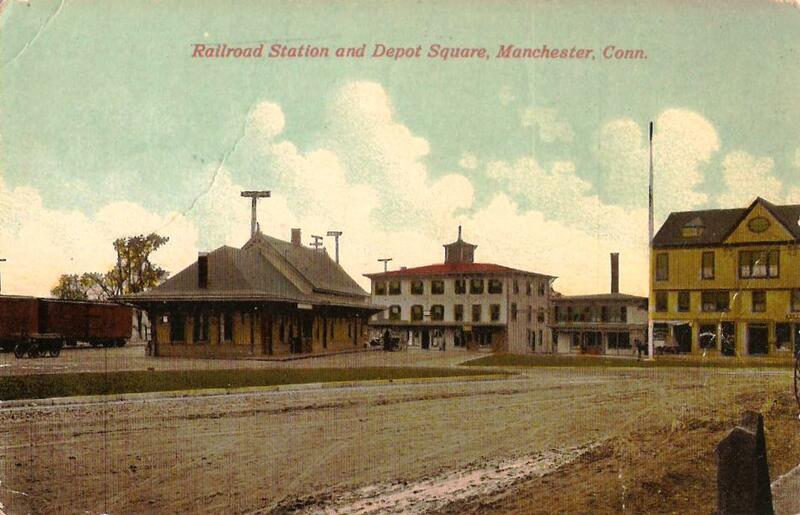 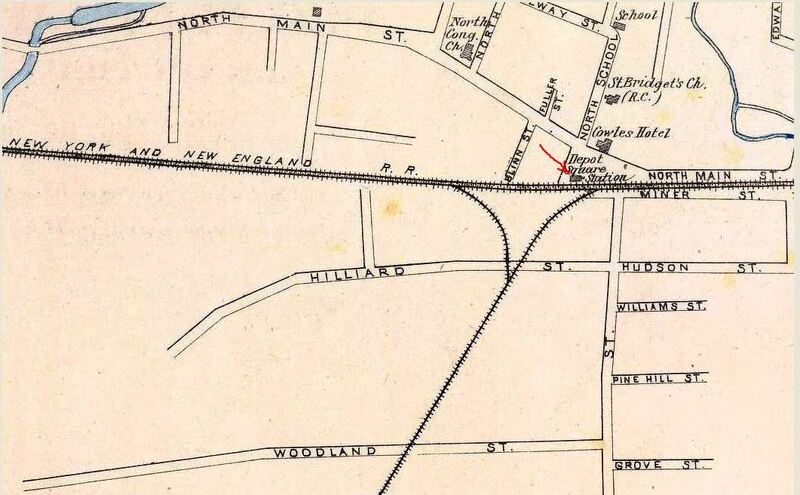 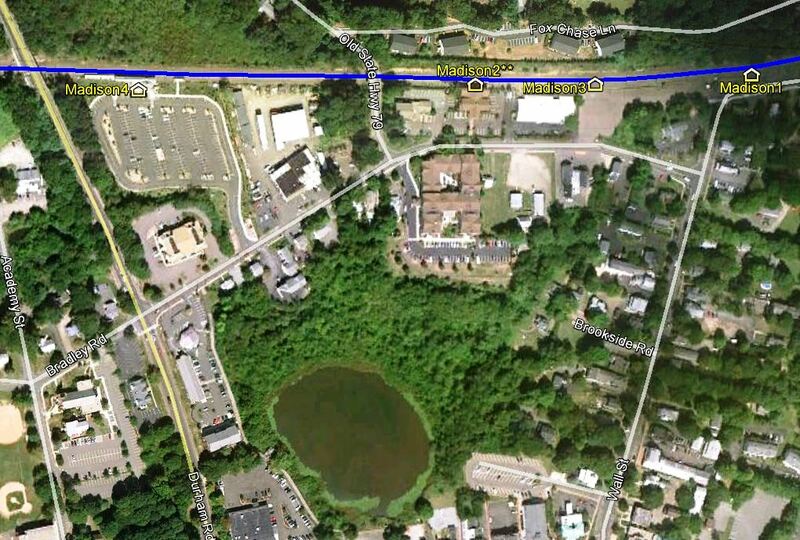 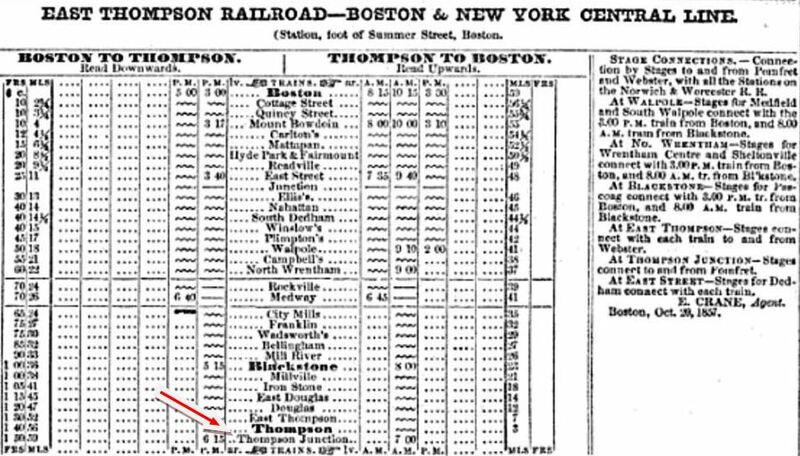 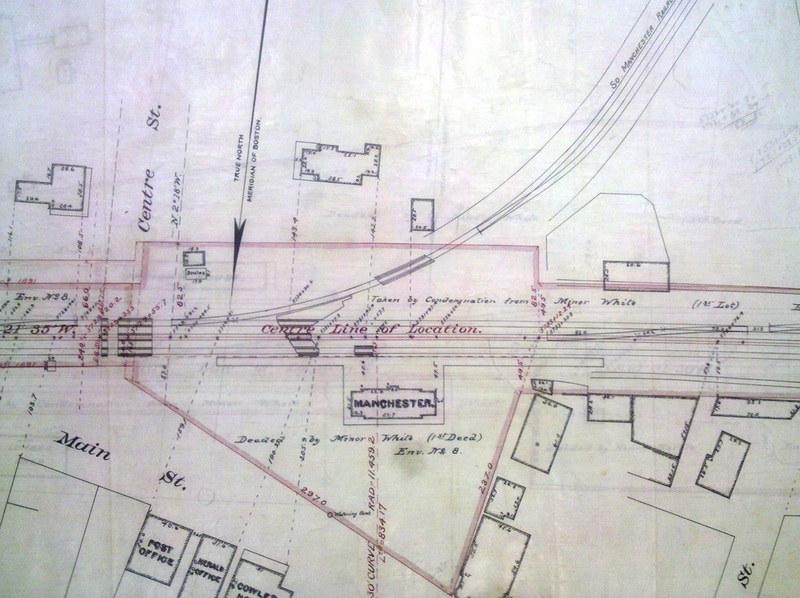 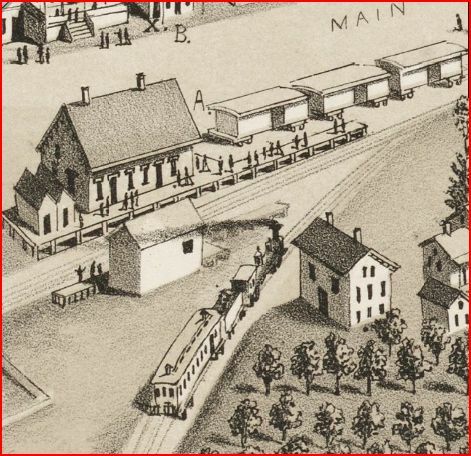 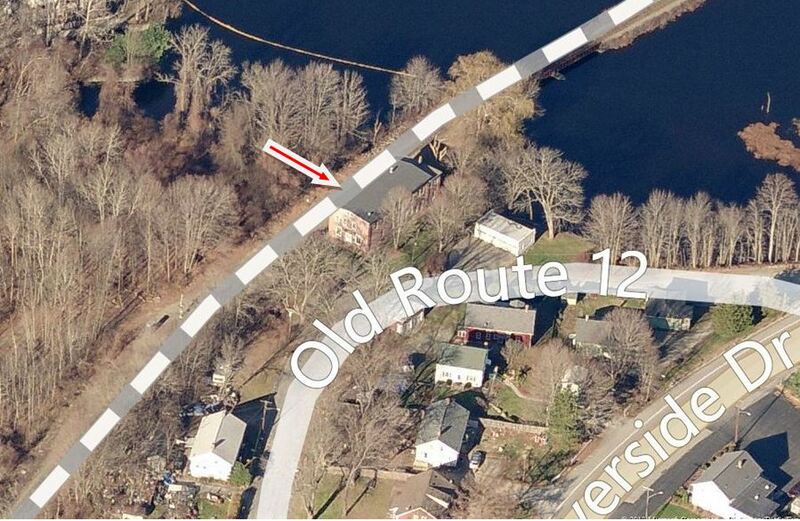 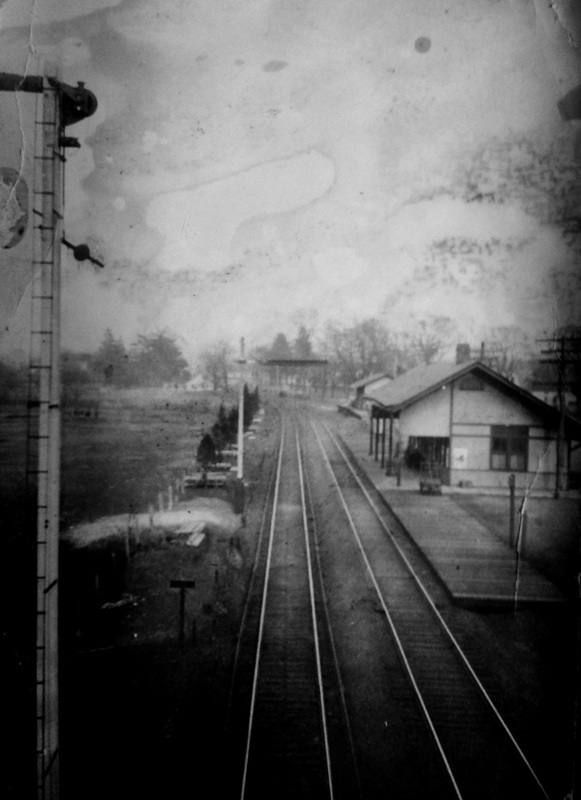 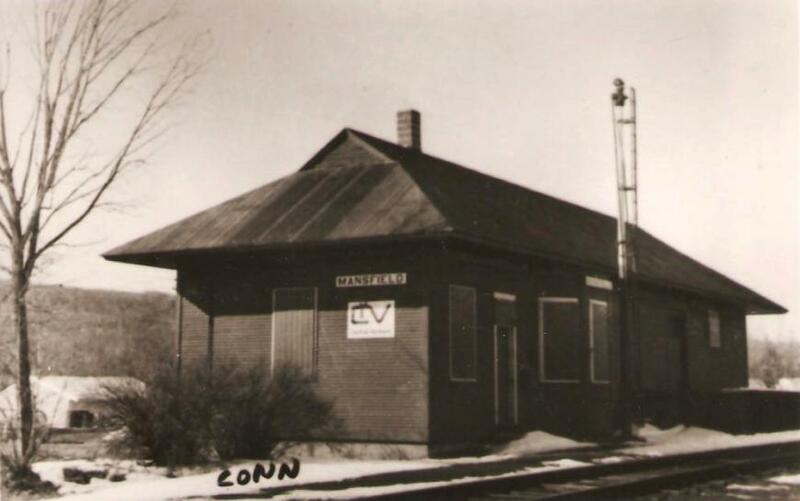 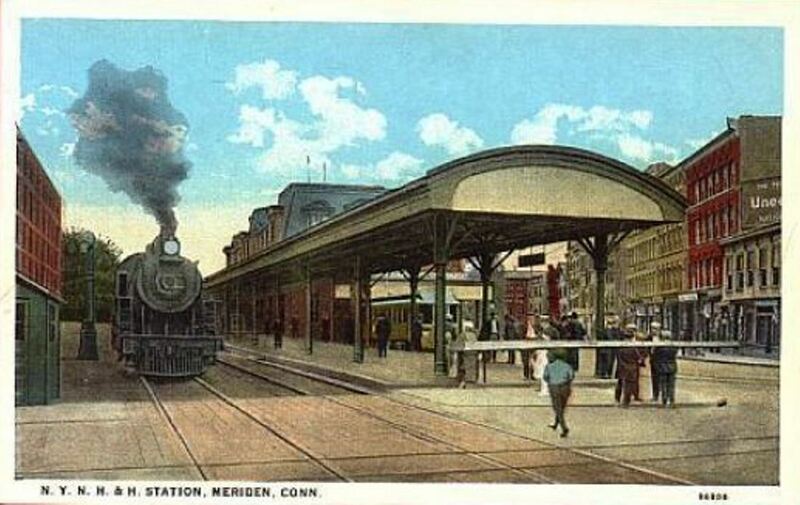 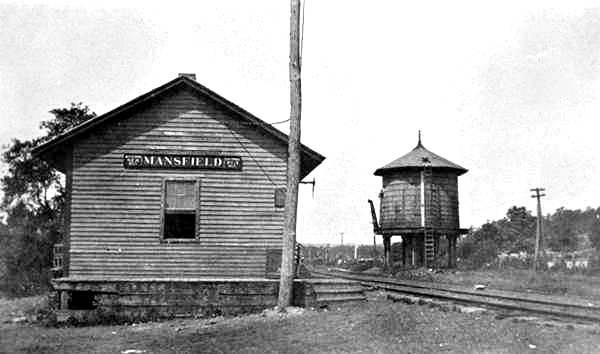 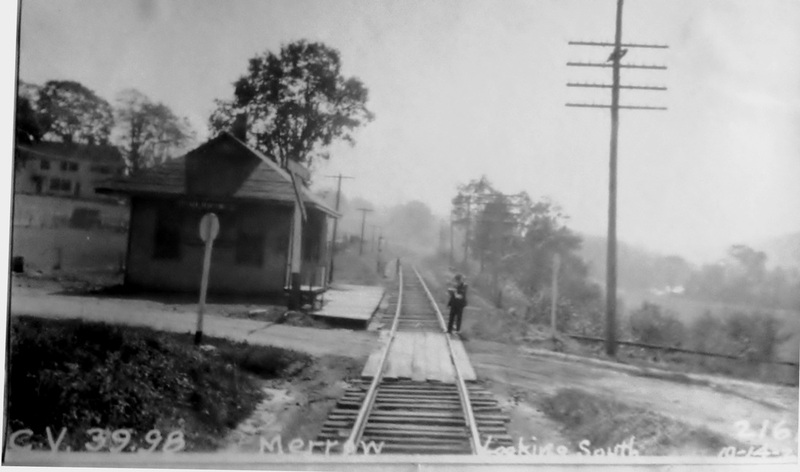 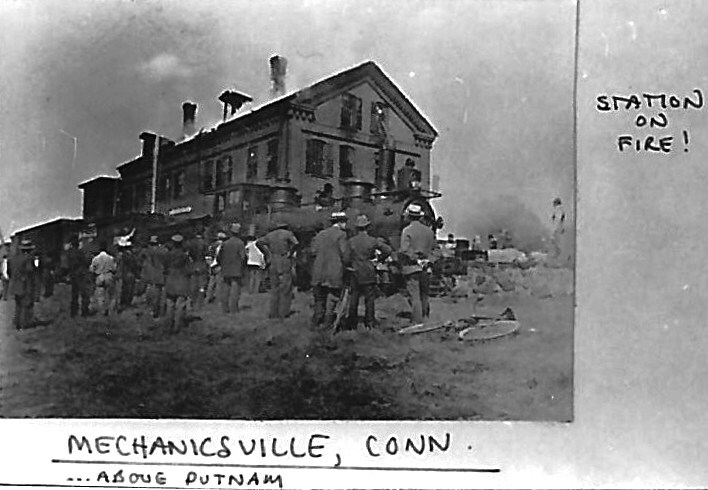 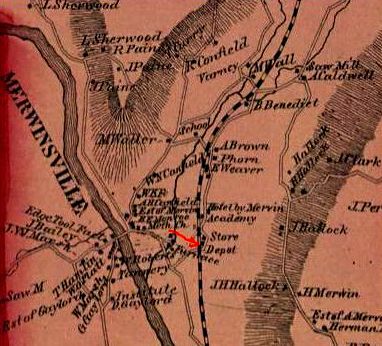 The train that is approaching is on the South Manchester RR and has just come up from the Cheney factories, which the tiny railroad connected to, by then the NY&NE main line. 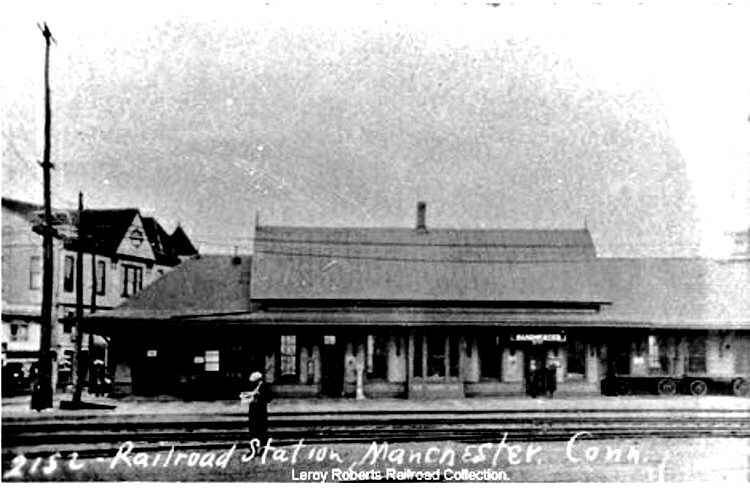 The timing of this sketch was fortuitous for, had the Bailey artist arrived in 1881 after MANCHESTER2 was built, we would not have this image of the first station. 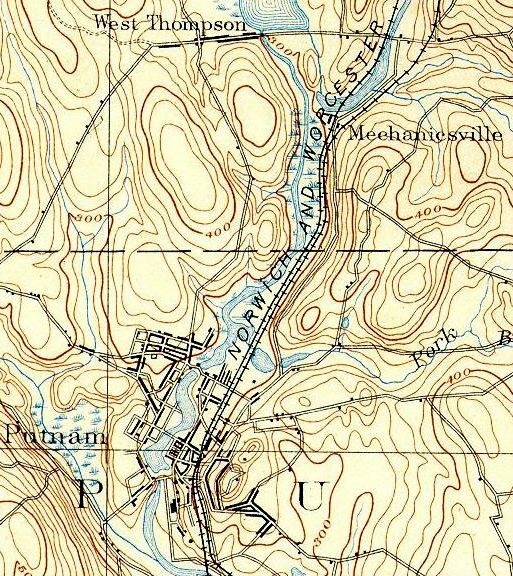 Click here for the LOC map collection. 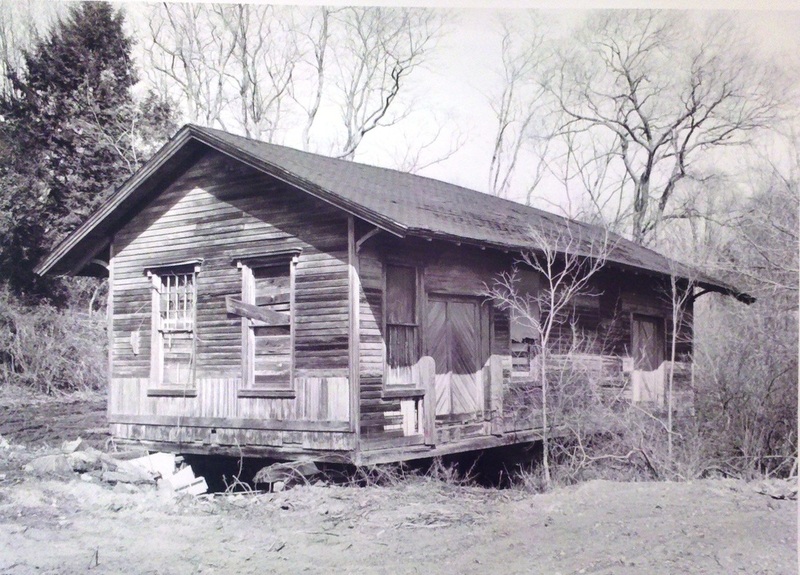 The photo at right was a lucky find at CHS. 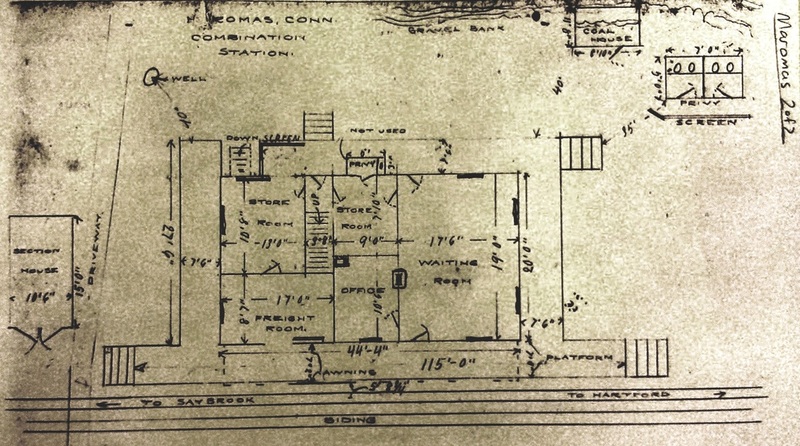 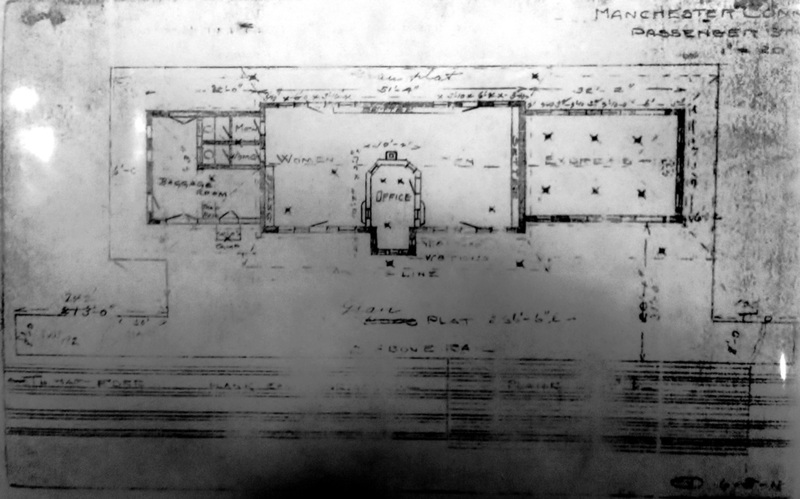 Although the sketch image shows two chimneys at the time it was done, it otherwise seems to match the photograph, right down to the trim design on the bargeboards. 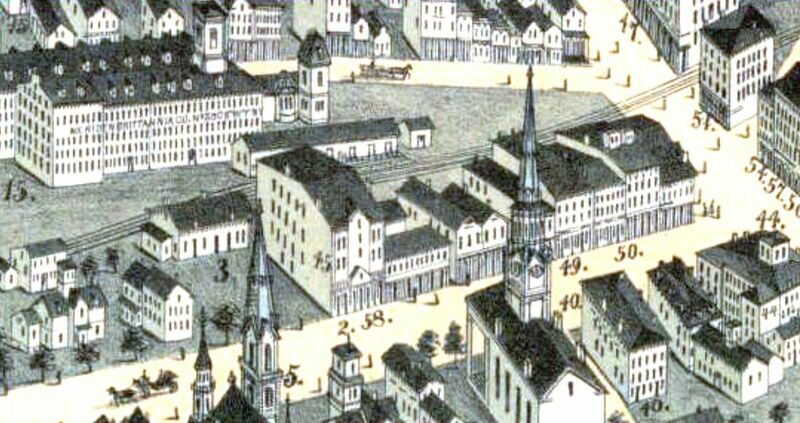 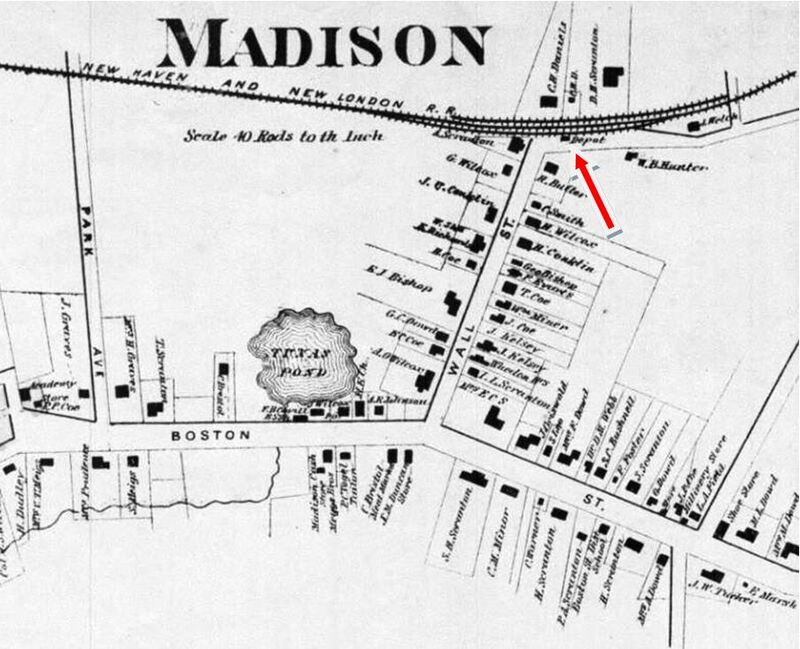 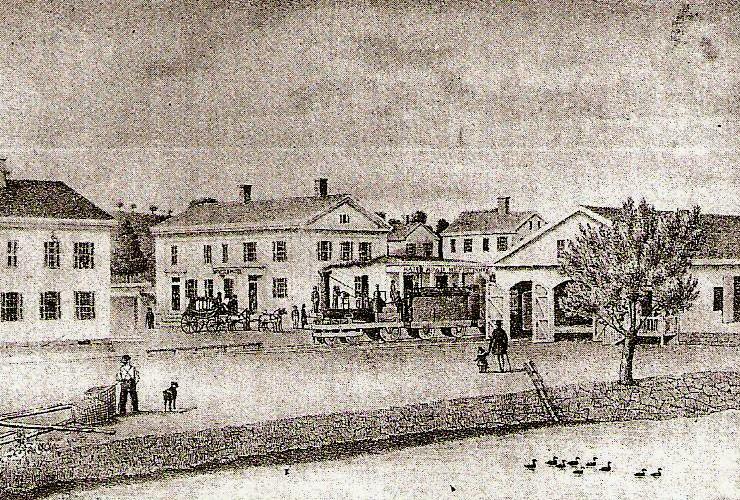 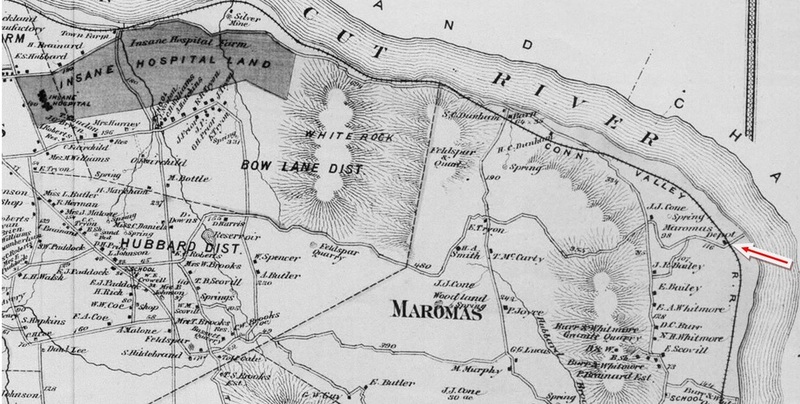 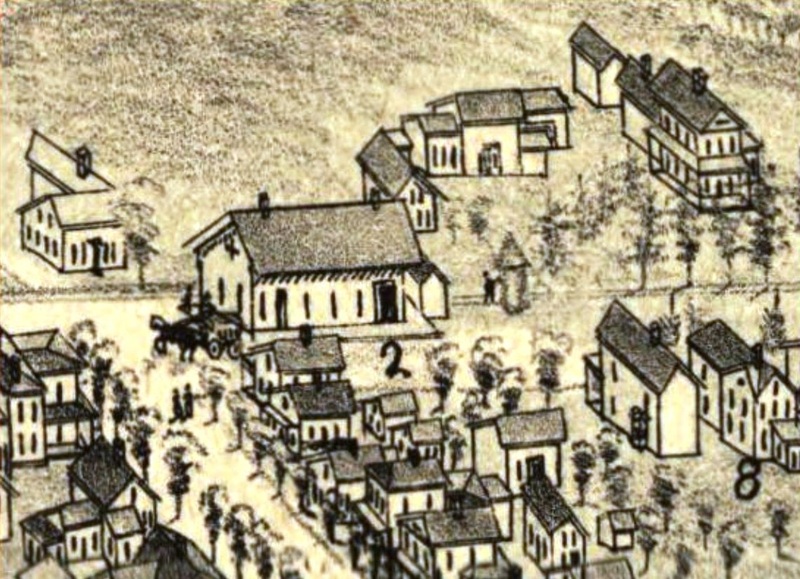 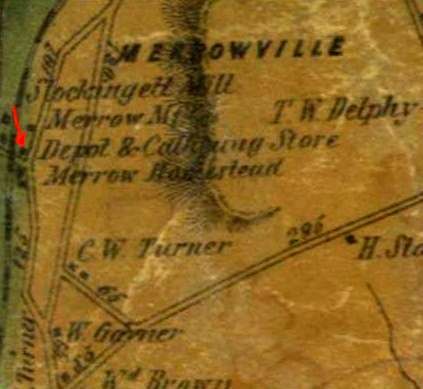 The location is as seen on the 1857TC map. 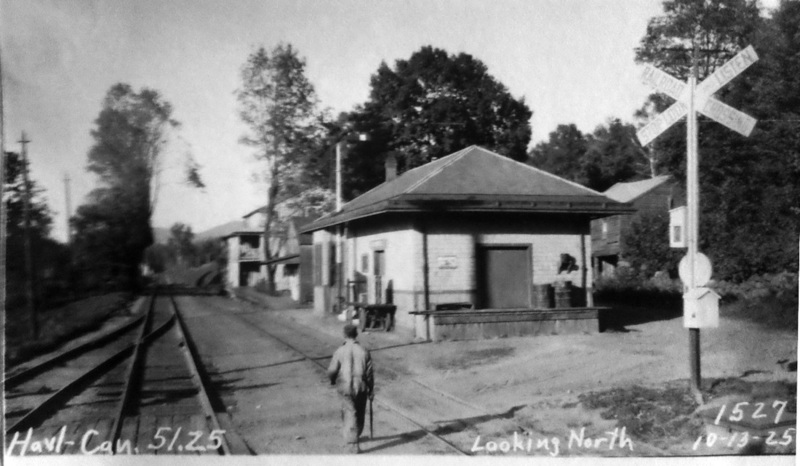 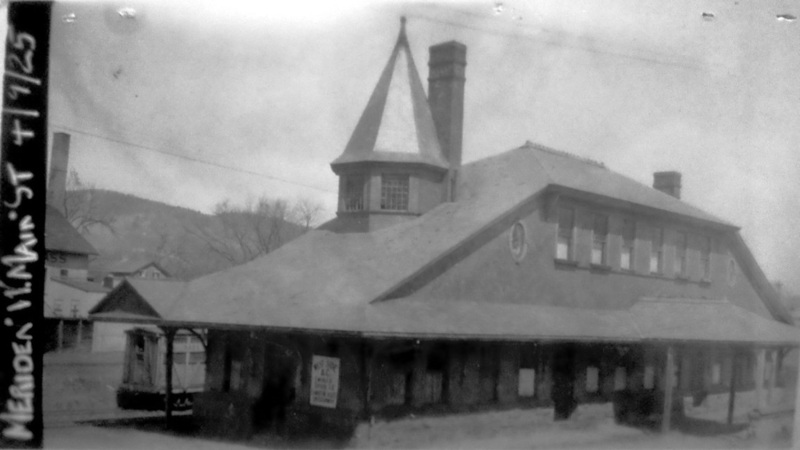 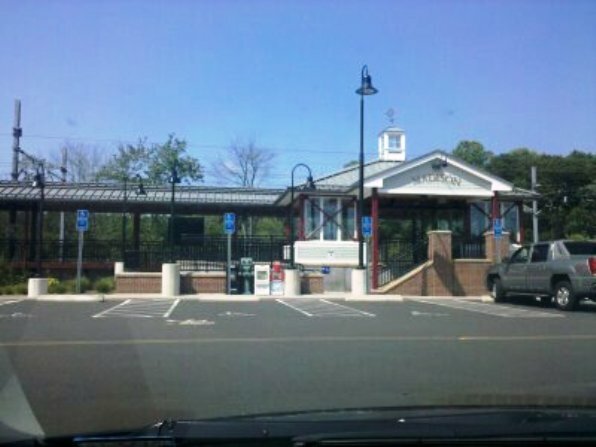 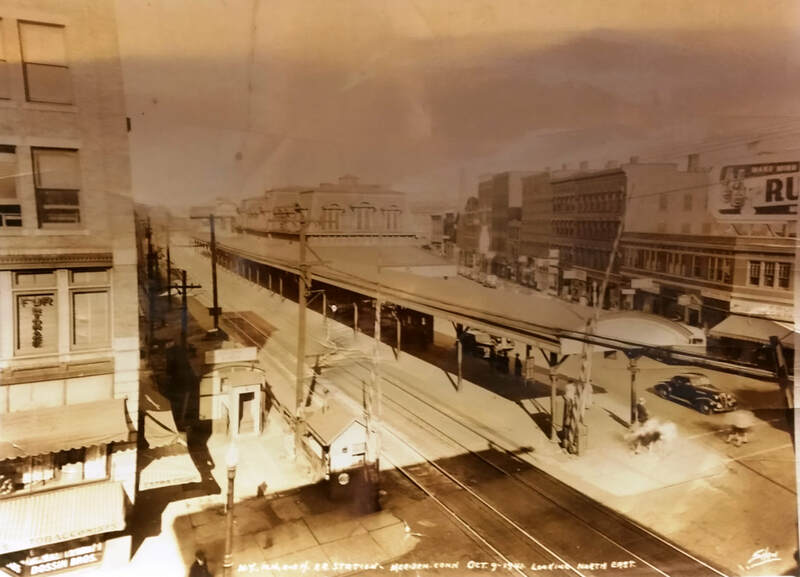 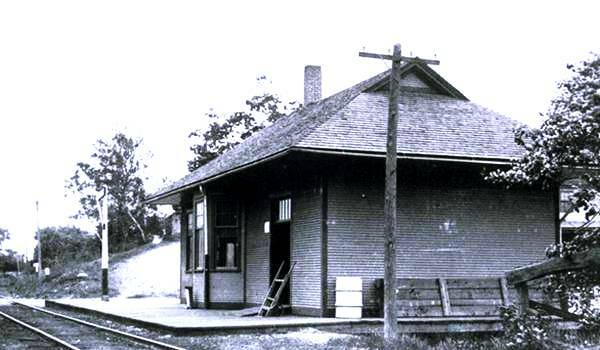 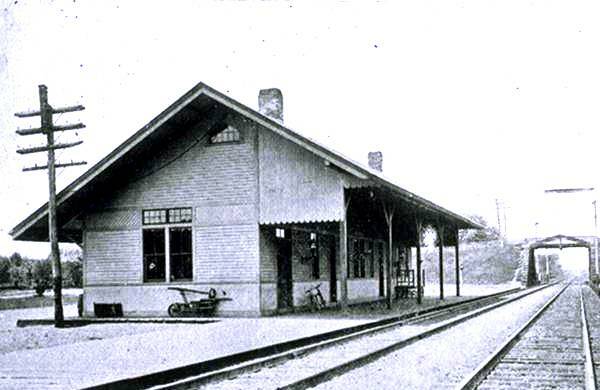 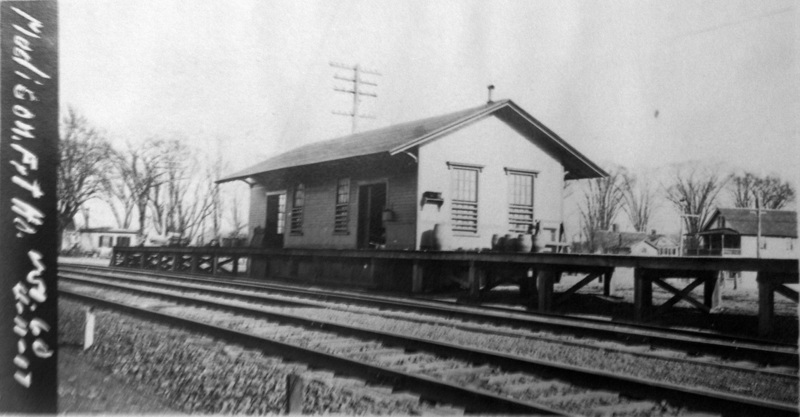 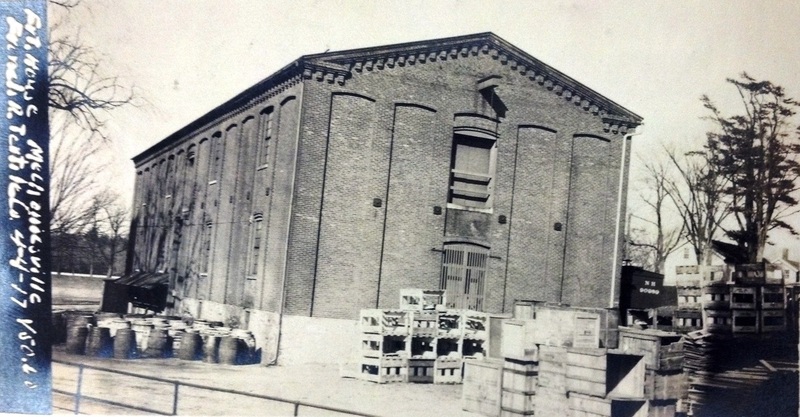 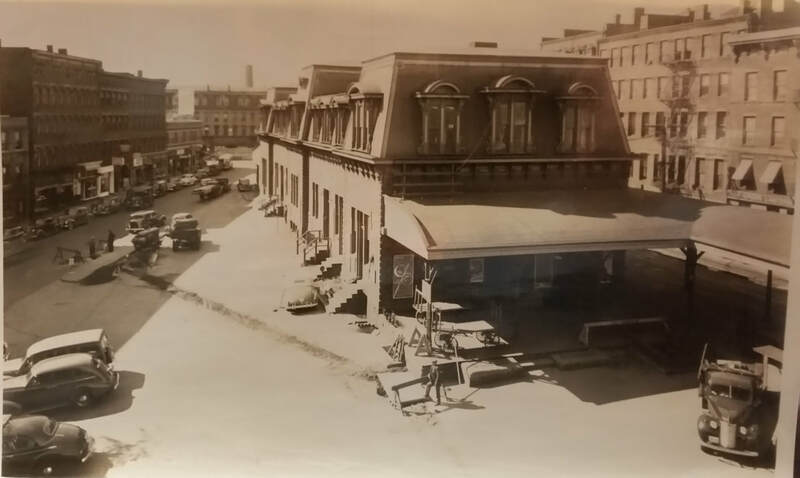 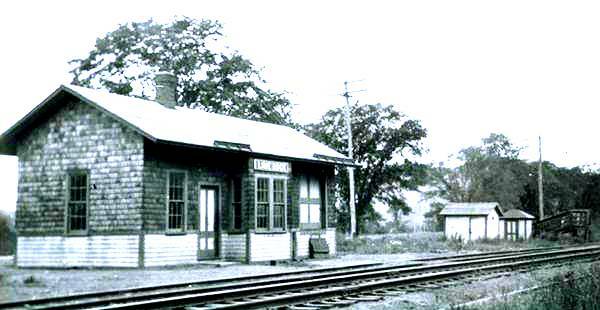 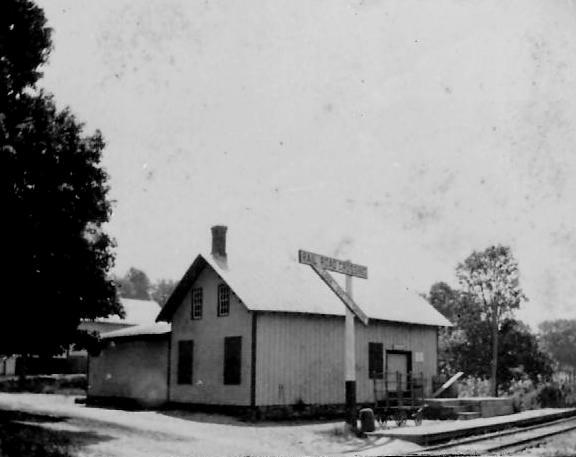 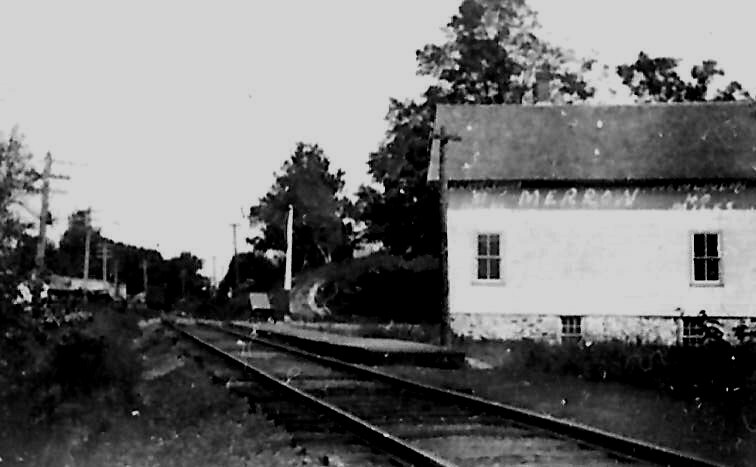 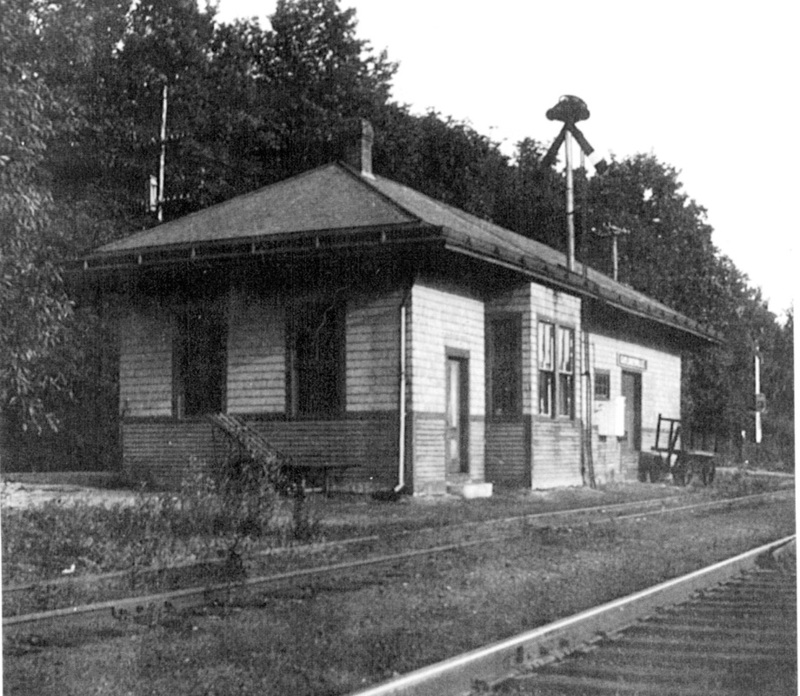 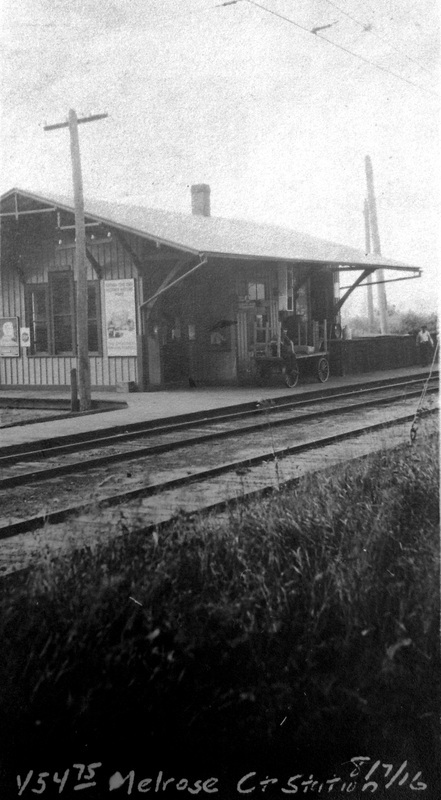 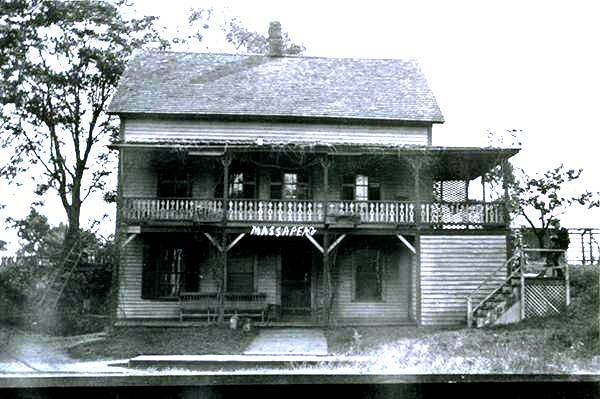 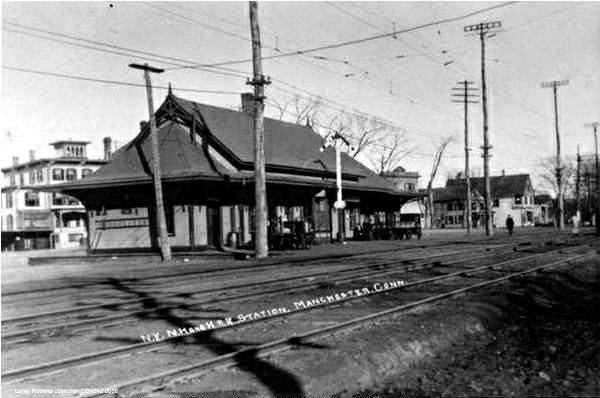 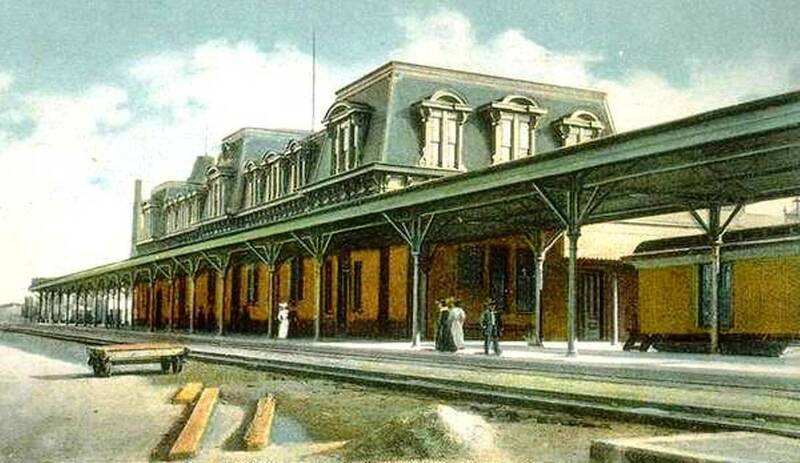 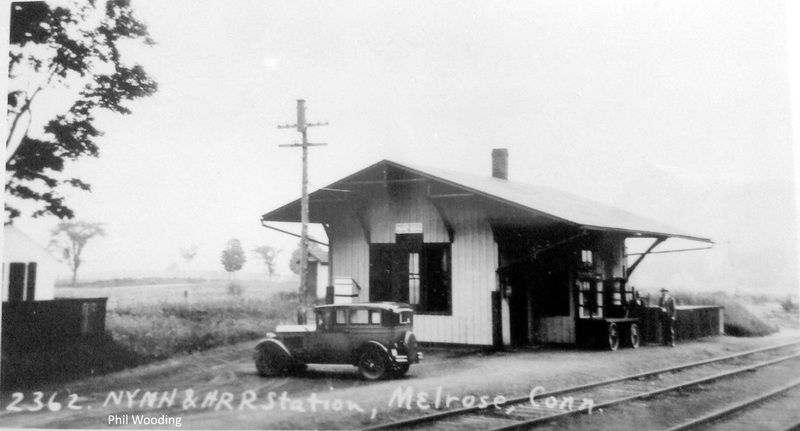 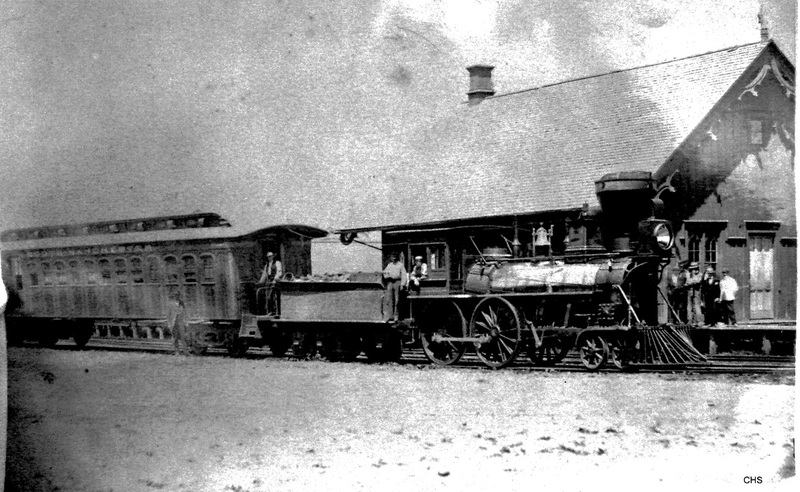 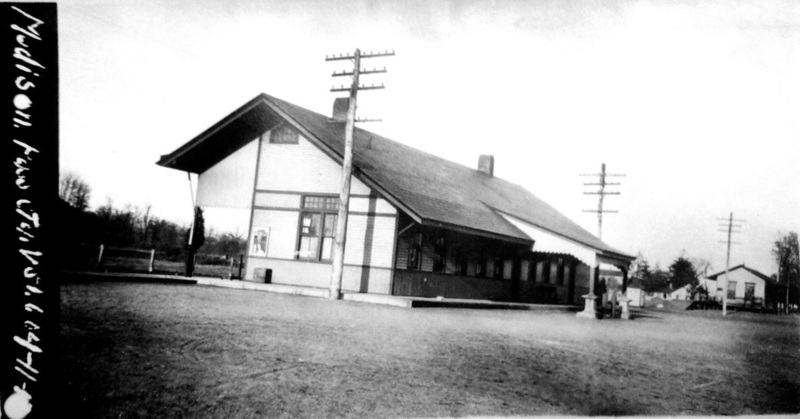 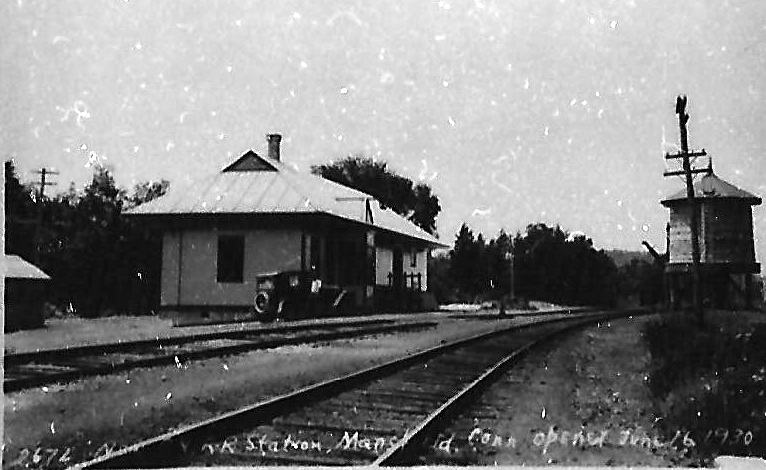 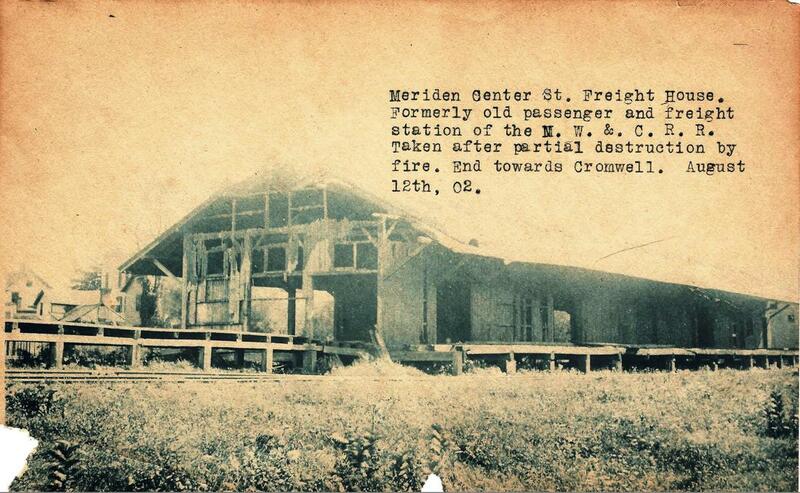 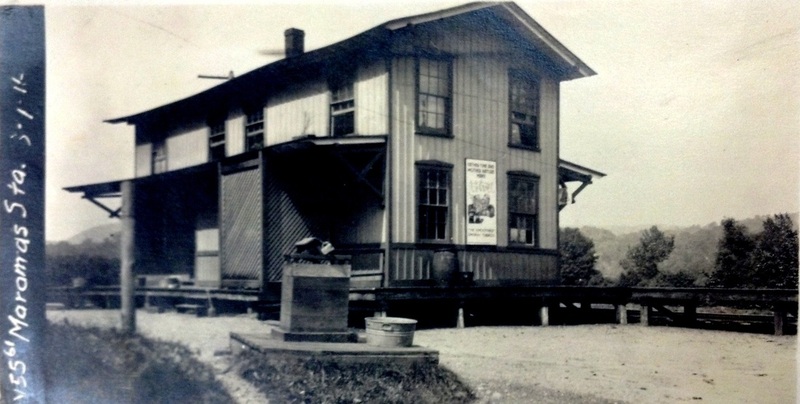 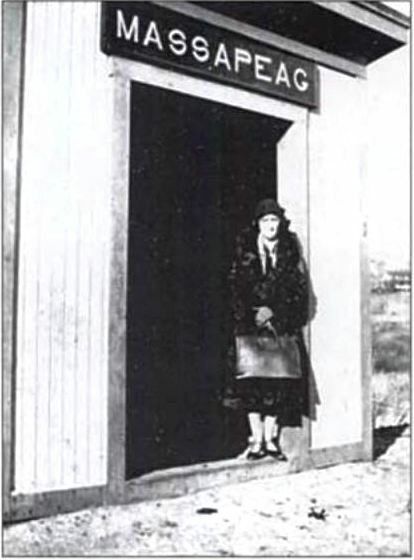 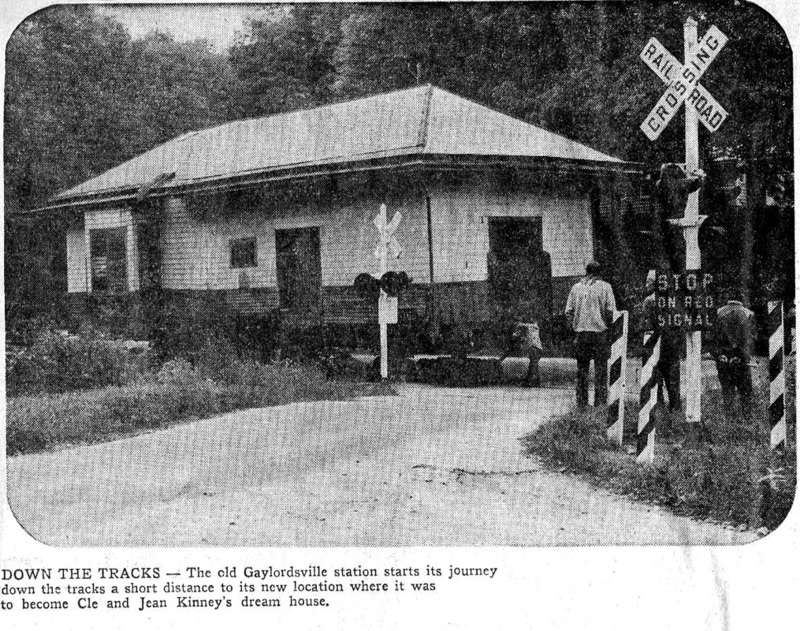 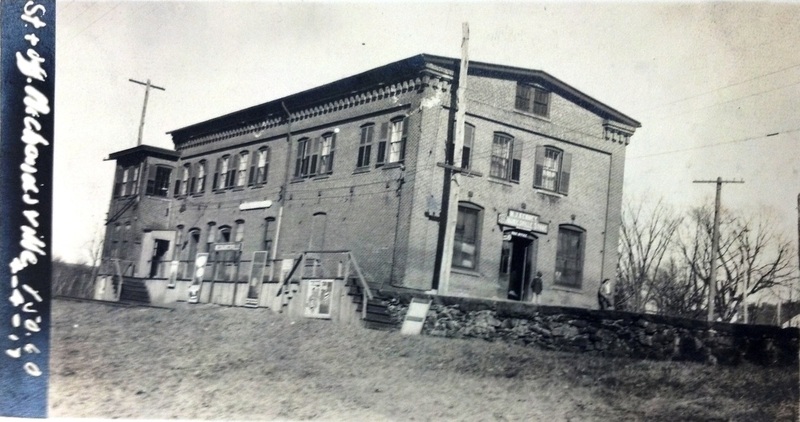 The stop was established in 1850 when the NLW&P opened.